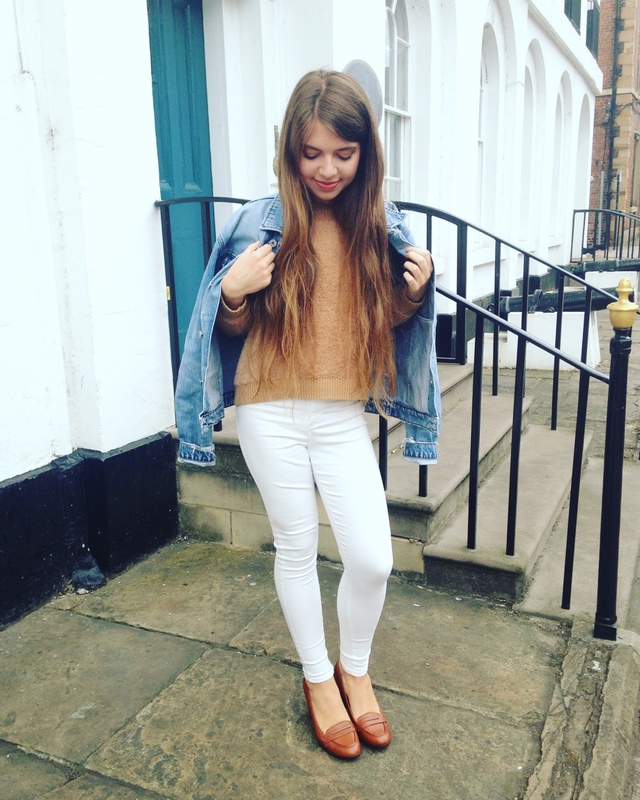 When it comes to Christmas, there are few things which evoke festive memories like scent. We all know the power which an aroma can have, bringing back memories and making us remember fond times. 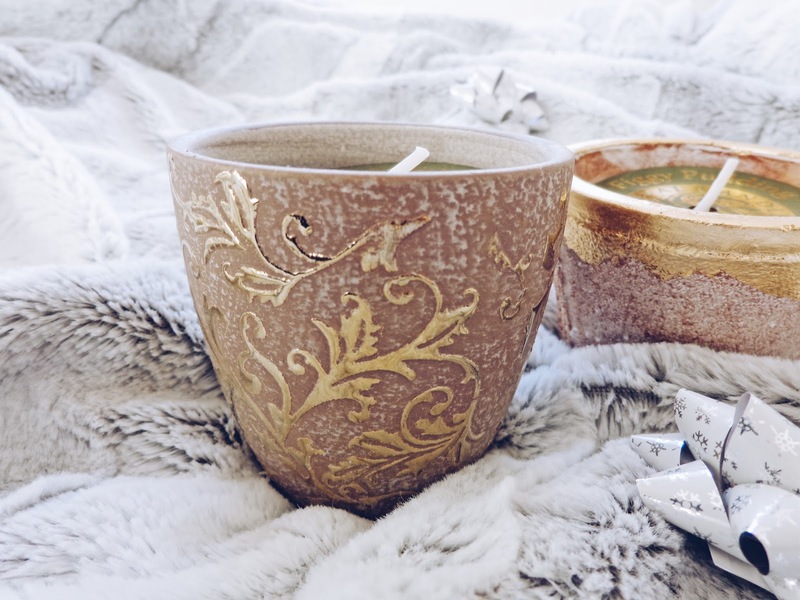 You may have seen the Creating Tranquillity with St. Eval Candle Company blog post, which I previously wrote on their fabulous range of products, including their Inspiritus candle, infused with aromatic spices and sweet vanilla. 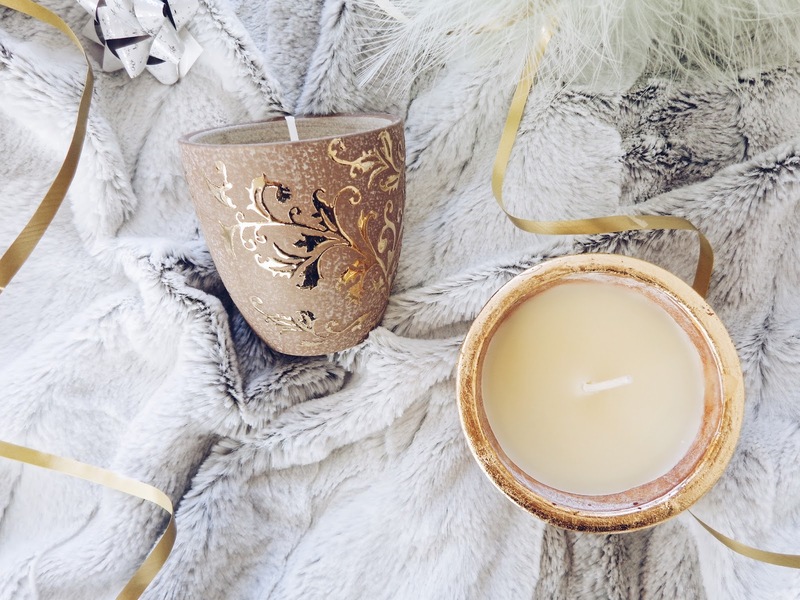 Ultimately, a truly Christmassy essence to infuse your home with over this festive winter period. 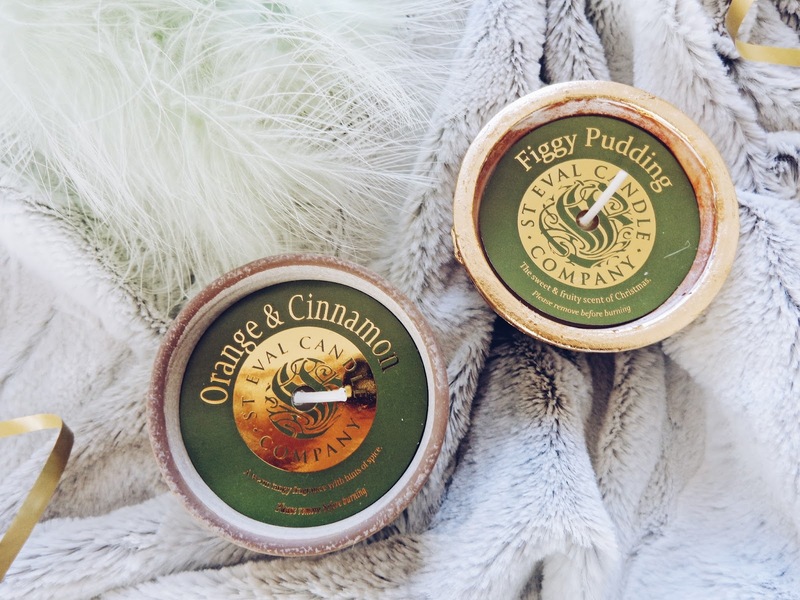 Today's post is about two of their potted candles which are in the scents of Figgy Pudding and Orange & Cinnamon. As you may well expect, they smell truly amazing. In the build up to the big festive day and with what to get for everybody becoming increasingly important, these small but perfectly formed candle pots are a sure winner when it comes to choosing a gift which is bespoke yet functional. Both of these candle pots are carefully hand crafted in St. Eval Candle Company's on site workshop in the heart of the Cornish countryside on the fully working farm which the business is situated; the company works harmoniously with its environment. 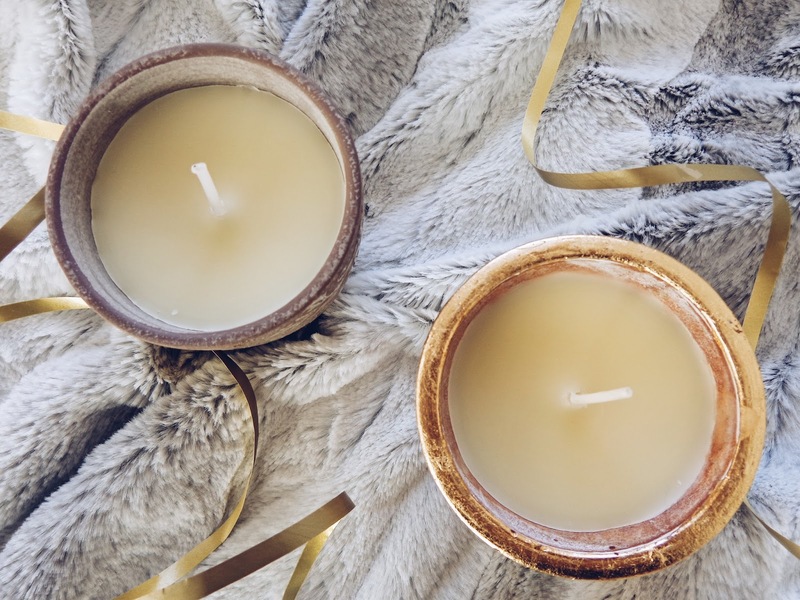 Environmental conservation and care which we all know is so important, especially in today's increasingly globalised world, is at the very heart of this company, which is a rare ethos which I personally really admire in a brand and is one of the things I love about St. Eval Candle Company. Additionally, with the UK's quietest wind turbine proudly nestled upon their grounds, solar panels and a bio-boiler installed to generate enough on-site power to keep their whole workshop in working order, St. Eval Candle Company are nearly 100% carbon neutral. 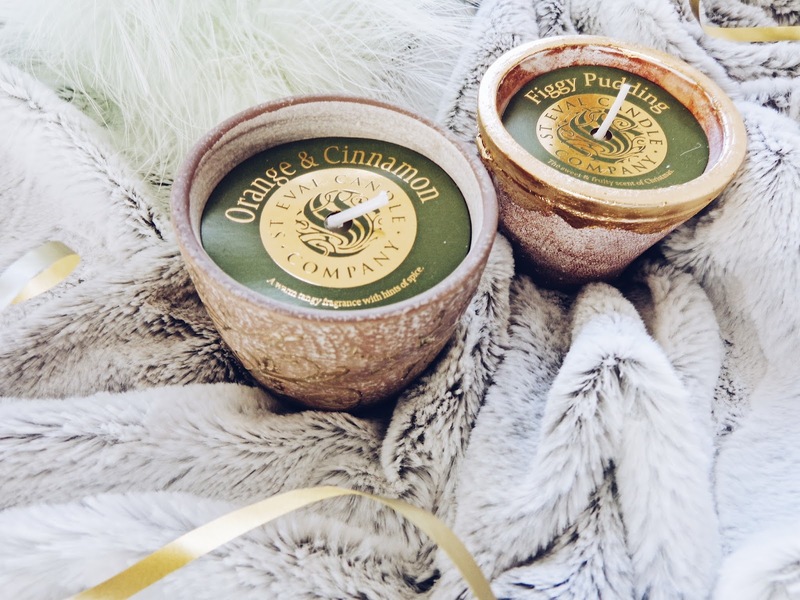 The Orange & Cinnamon candle pot has a delicious warm, tangy fragrance with hints of spice which gives it that quintessentially Christmas scent that resembles a freshly baked Christmas cake. 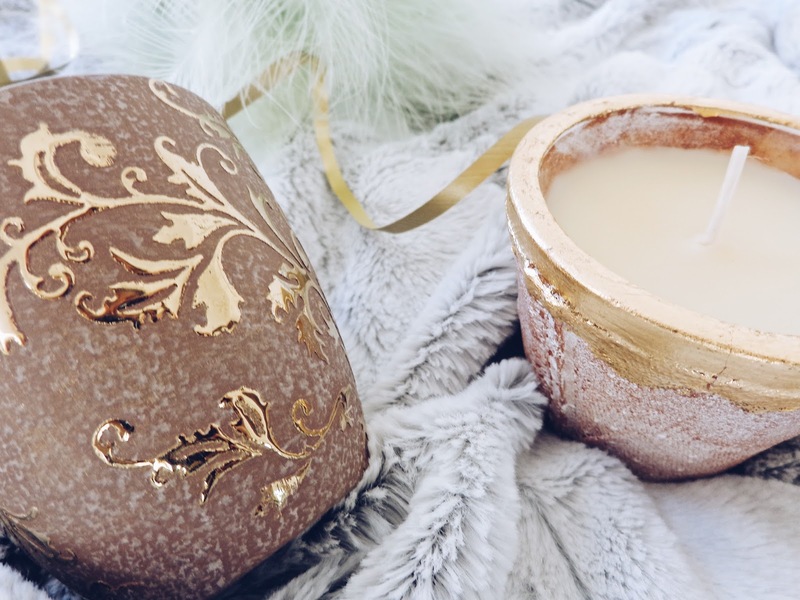 The gold gilded pot, adorned with a delicate floral leaf design is beautiful too - I love interior décor pieces which add a bit of elegance to a room and this candle certainly does I think. 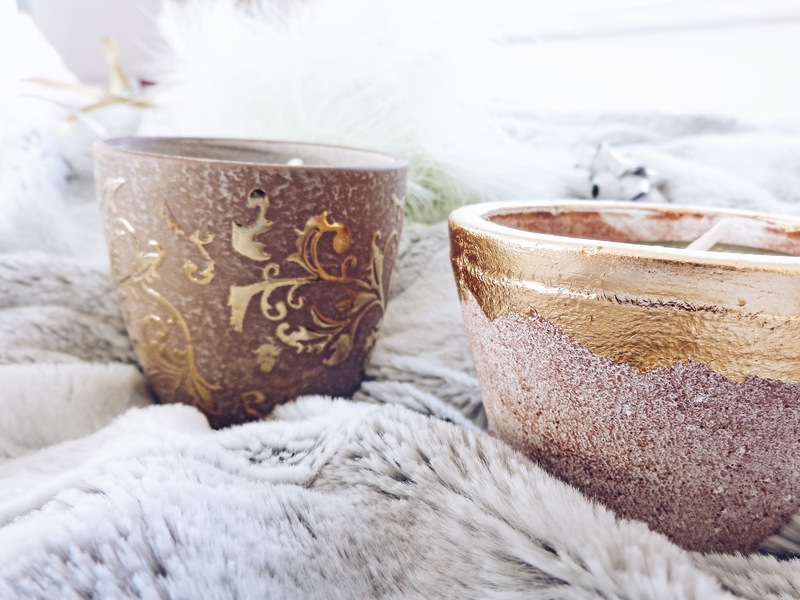 Added to the lounge on a cold winter's evening whilst watching a movie, snuggled up with a hot chocolate, it's the perfect way to create that festive ambiance. 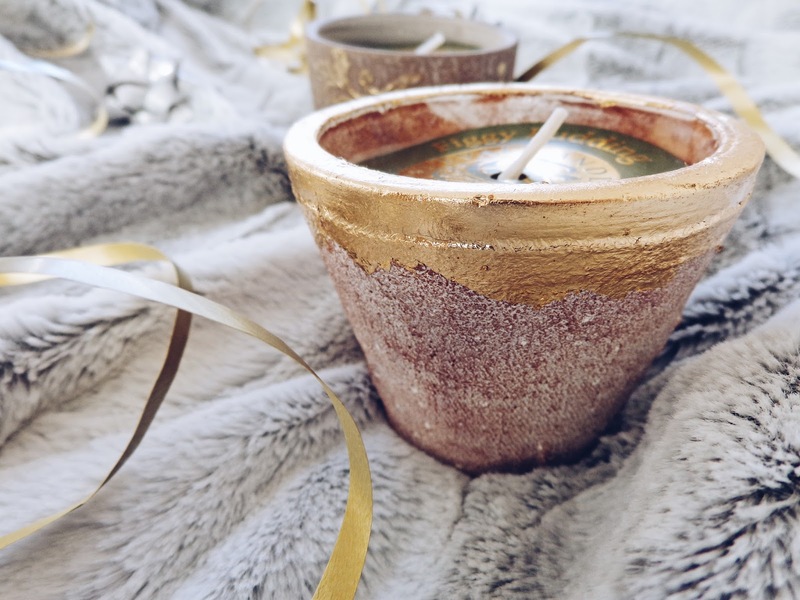 Similarly, the Figgy Pudding candle pot is artistically adorned with gold leaf style paint around the edge, which looks fabulous as the candle flickers. 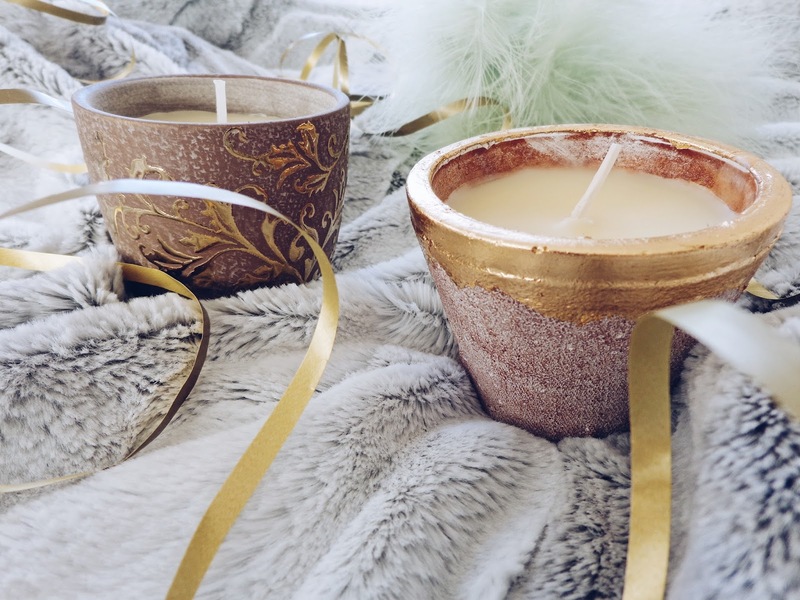 This candle, with its sweet and fruity scent of Christmas, is the perfect choice for anyone who enjoys fragrances which lift the spirits and evoke feelings of comfort. 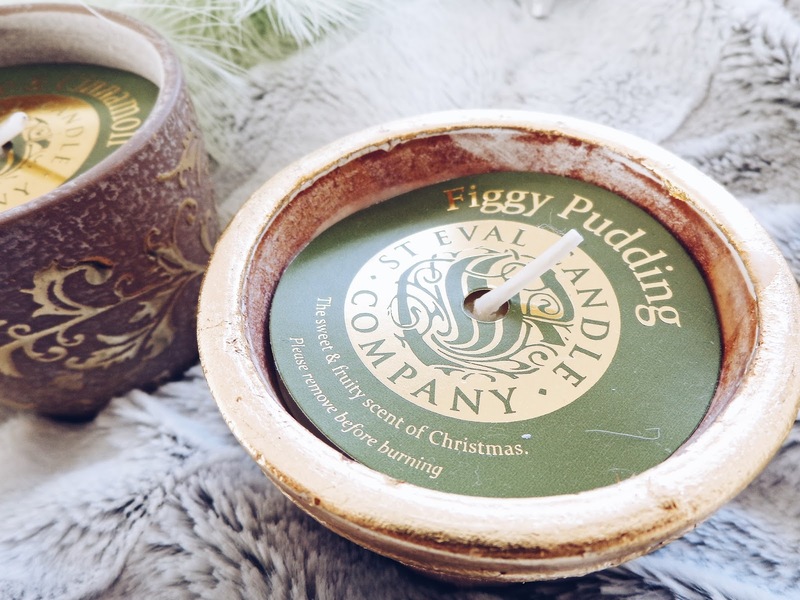 You can watch the candle making process in the workshop here, to get a true feel for the bespoke and lovingly crafted nature of St. Eval Candle Company's products. 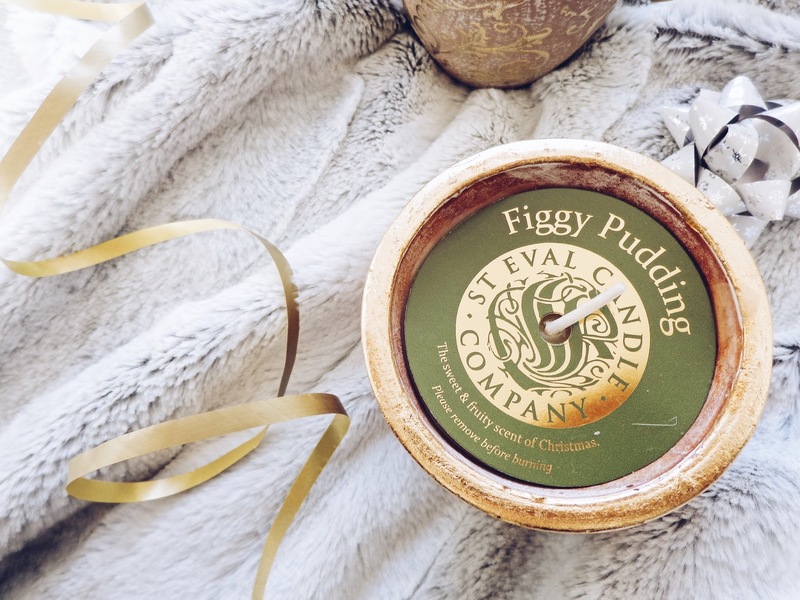 Shop St. Eval Candle Company's Figgy Pudding candle online here and their Orange & Cinnamon candle here. Keep up to date with all of St. Eval Candle Company's activities over on their social channels Instagram, Twitter and Facebook.